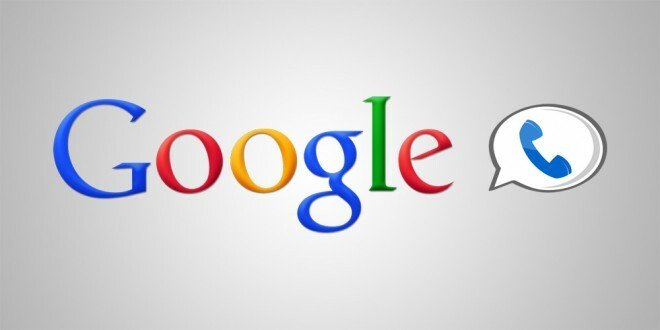 Last week at CTIA Wireless 2011, Sprint announced that it would soon offer deep Google Voice integration. This would allow customers to enjoy benefits such as answering calls on their computers, viewing voicemail transcriptions, enabling call screening, configuring quite hours, and much more without having to port their number. While that news alone is quite exciting, there is an even larger piece of news that went unstated. After running into a Sprint product manager who was working on this project, I learned that the carrier would also enable unlimited Google Voice calls and texts to mobile devices on any carrier. When using Google Voice on your computer, VoIP powers calls. Unfortunately, things work differently on your phone. Rather than placing calls over a data connection, incoming and outgoing calls through the service eat up your precious minutes. Even though Sprint offers unlimited mobile-to-mobile minutes with most of their monthly plans, customers currently loose minutes when calling other cellular customers with their Google Voice number. Once the announced integration efforts takes affect, you will have unlimited mobile-to-mobile calling using a Google Voice number from your mobile phone. There is unfortunately one drawback. While Sprint does not knock off minutes for incoming calls from cellular numbers irrespective of carrier, the current infrastructure can not detect whether the incoming call from a Google Voice user is from a mobile device. This means that you will drain your allocated minutes when accepting a call from a Google Voice user despite the fact that they are calling you from a mobile phone running on AT&T, Sprint, T-Mobile, or Verizon Wireless. The representative I spoke with claimed that they would try to address that issue soon. Despite the one quick, this is still huge news for Sprint customers who are fans of Google Voice. I hope that other carriers also follow the lead soon. I also heard mention of MMS support coming to Google Voice in the coming months from another employee, but I did not manage to get another word out of him. Has this started to roll out yet? I still don’t see it as an option. Does anybody have an ETA? I was told “in a few weeks” at CTIA Wireless 2011, which was two weeks ago. So hopefully very soon! you were right, looks like some people are getting the invite already. :) I hope i’m next. You can call and receive calls from any mobile number without it deducting from your peak minutes. Correct, but not if you place a call using you Google Voice number or receive a call from a Google Voice number even if those are to or from a mobile device, respectively. However, that is about to change and that is the purpose of this article. Beginning soon, you can avoid loosing those precious peek minutes when using Google Voice.